Man Charged in Edgewater Motel Killing Reviewed by Edgeville Buzz on August 13, 2008 . 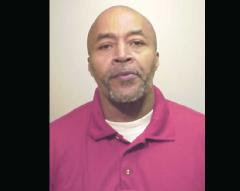 Edward Gibson, 57, of Chicago’s South Side has been arrested and charged with murder in the death of a woman whose body was found stuffed in a closet of an Edgewater motel room in May. A manager of the motel at 920 W Foster found the body of a woman, who had apparently suffered blunt force trauma from an assault, in a closet of one of the motel rooms.